By November 1940, Nazi Germany at the head of Adolf Hitler had already begun the active phase of the Second World War and managed to take control of the territory of Austria, France, Poland and Czechoslovakia. It should be noted that during this period the war with the USSR had not yet begun, but as the archival data testify, an active phase was already under way for its preparation. 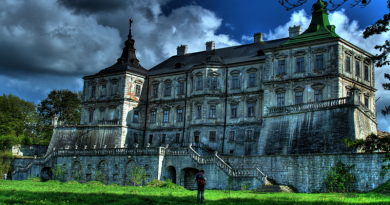 For example, today there is information that Hitler approved the plan for the future construction of a well-fortified rate, which was to be located on the territory of Ukraine 8 kilometers from Vinnytsia. It should be noted that the project itself had a grand layout, a reliable three-tier external security system, it was planned to build several houses for the Fuhrer’s army. According to the original idea, all the premises should have had an entrance to the tunnel part of a military facility. It is difficult to disagree that it looks rather strange when planning an expensive military facility if the war had already been unleashed, according to the German assumption, it would end in a few months. 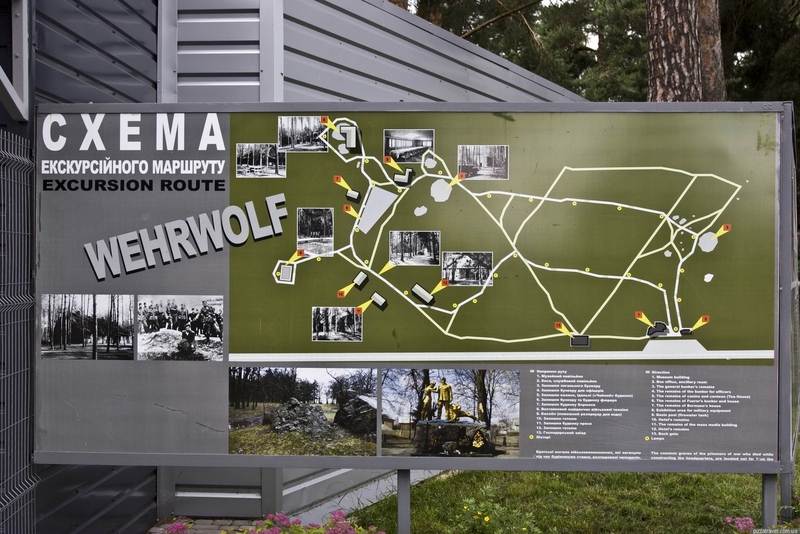 Indeed, as the course of the military confrontation showed, as soon as the German troops took control of Vinnitsa, they almost immediately began to build the Werewolf, Hitler’s main stake in Eastern Europe. Today, no one truly knows why the world tyrant chose Vinnitsa for his future bet. Many researchers of that period have their own point of view. Most believe that Hitler acted practically and chose the local region in order to save finances, since the bunker for Stalin was already under construction in the chosen territory. Therefore, the Germans decided to finish the job just to slightly adjust the plan at their discretion. 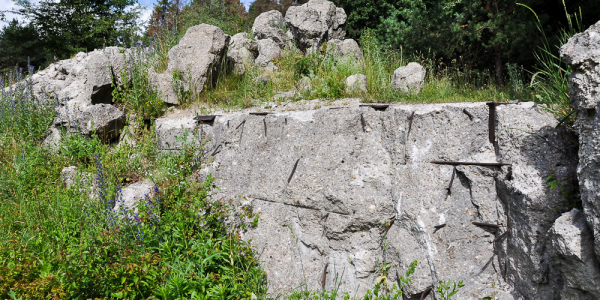 Soviet prisoners of war and the German military construction group known as the “Todt Organization” took part in the construction work of the bunker. Based on reliable data it is known that the organization began its work at the end of July 1938. It was headed until 1942 by the Reich Minister Fritz Tod. If we talk about the number, it constantly increased throughout the entire period of the Second World War, as it was in great demand. For example, in 1938, 340,000 people worked there. Accurate data on the number of workers that directly participated in the construction of the rate of Hitler are not available. And this is absolutely not surprising, because upon completion of work, all those who participated in the construction of this ill-fated place were killed without exception. Today, some sources talk about 14 thousand people shot, while others 46 thousand. As you see, nobody knows for sure how many people died here, there are no documents and there are no eyewitnesses either. 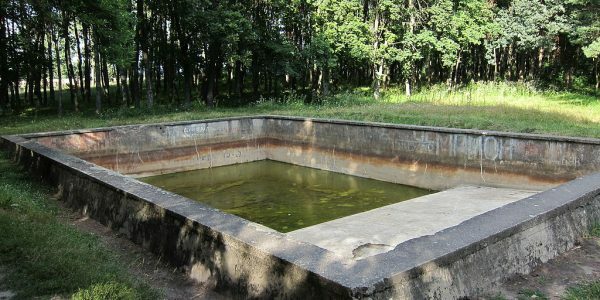 In the central part of the military facility were concentrated the main premises: the Gestapo, a bunker, a communications station, buildings for Hitler and high command, a swimming pool. The bunker itself, if you believe the documents found, had several floors. The walls were made of super strong concrete mixture reaching several meters thick. Around the perimeter of the stakes were concentrated a lot of pillboxes, firing positions with machine guns and artillery installations. There was also a small power plant and a water tower. Behind the aisles, the airfield was located, which ensured a quick delivery of all the necessary. As history has shown, “Werewolf” did not last long. 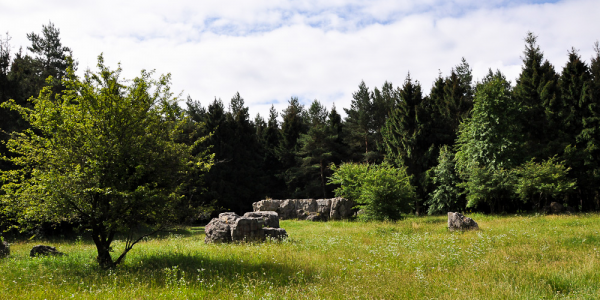 In 1944, on March 15, retreating, the German troops blew up the entire complex, leaving only ruins. Another part of the researchers adheres to the mystical direction. They are convinced that the choice for this place was not casual and not without the participation of the well-known society Anenerbe. As it became known later, from the archive of ESES, the content of this organization cost the Nazis almost as much as the Americans atomic bomb project. It should also be noted that Anenerbe has been actively involved for decades in search of ancient artifacts around the world. For example, it is authentically known about the financing of the group that was engaged in the search for the Ark of the Covenant and even the Holy Grail. This order believed the artifacts collected could bring Reich victory in any military operations. Perhaps this is why the tyrant, self-confident and mystical sentiment, has never regretted funds for various projects and expeditions Anenerbe. It is also worth noting that Ukraine attracted the Nazis long before the outbreak of hostilities, which had their own mystical interest in our land. Among the surviving documents it became clear about the existence of a special group searching for the Scythian sacred cauldron of King Ariand. 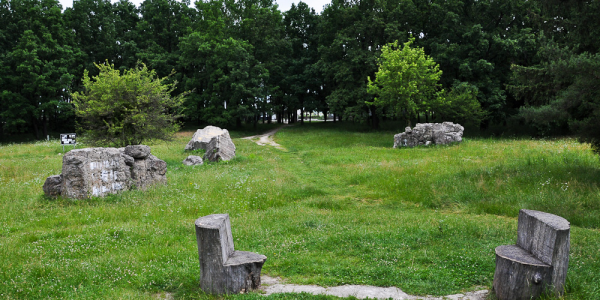 Therefore, it is not at all surprising that many representatives of the scientific sphere believe that the Werewolf bunker in Vinnitsa had not only a military purpose, it could also be a strong point for the search team aimed at finding the Scythian cauldron. But the question arises, for what purpose the artifact was needed by the Nazis? Most likely in the answer lies the clue, what is the mystery of the Third Reich. So, for starters, let’s try to figure out what is the Ariant’s cauldron and what was the Nazis’ interest in the oldest artifact? Perhaps it is worth recalling that the Scythian king Ariander is known as the only ruler who defeated the Persian king Darius himself, who owned land from Egypt to India. But, as history has shown, Darius wanted to conquer also Black Sea Coast, eventually the self-confident ruler was defeated by the Scythians. This bright event dates back to the 6th century BC. Now you know who Ariander is, it remains to find out what the Scythian cauldron of Ariander is? There is no reliable data about this artifact, but written references are preserved in the works of ancient writers, for example, in the books of Herodotus. In one of his books, the ancient Greek historian describes in some detail the mysterious city of Specimens, which was located among the rivers Borisphen and Gipanis, a bitter spring with water unfit for drinking and the legendary copper cauldron containing 600 amphorae. As the legend says, the king wanted to find out the number of his people and gave the order that each Scythian would bring one arrowhead. When the people fulfilled the order of the king, a copper pot was poured out of the collected tips and installed in the center of the Instance. Perhaps it is worth noting that the Borisphen and Gipanis rivers are in our time the Dnieper and the Southern Bug. From this it turns out that the city of the Copies and the boiler itself are located somewhere between these rivers. It is difficult to imagine what size the Scythian cauldron reached if it contained 600 amphoras of wine. In the book of Herodotus there is also a rather interesting description of one Scythian ritual, which is directly connected from the cauldron of Ariandra. Perhaps this particular episode is so interested in the Third Reich and only strengthened the desire to master the oldest artifact and sacred secrets of the Scythians. 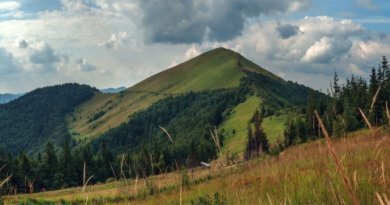 So, the author writes, every year on the day of the enchanting Scythian victory over Darius’s army, the cauldron was filled with wine, which the people and the army drank to strengthen their fighting spirit and gain strength to achieve new victories. Naturally, the Scythians kept their national pride clean. The cauldron brought to perfect brilliance from the inner surface resembled a curved mirror. It should be noted that such items were used for magical purposes. It was believed that a spherical mirror helps best to collect the so-called astral light, which contributes to the manifestation of clairvoyance. Perhaps for this reason Hitler was so interested in finding an ancient artifact. Apparently, he wanted to conquer not only the whole world, but also to see the future. Today it is not known for certain whether the Germans were able to find a Scythian cauldron or not. In this case, the researchers have an opinion on this. Today, a historical landmark is a ruin of concrete pieces that are scattered over a huge area after the explosion. Historians claim that the Germans used 60 tons of explosives for the complete destruction of the ground part of the headquarters, though this is not difficult to say. There is no access to the inside of the bunker, the result of the study of a military facility in 1988-1991 was never provided to the public. 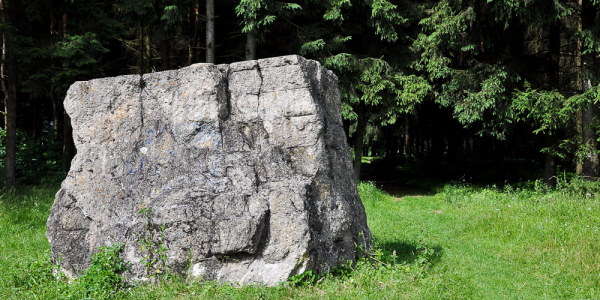 Therefore, it is not at all surprising that many of the most mysterious structures of the war period are connected with many myths, incredible stories and secrets. But, nevertheless, persistent enthusiasts managed to find out a lot of interesting and confirmed facts. For example, today it is reliably known about the size of a military facility, it was possible to establish the exact location of each structure of the complex, as well as the presence of internal premises. Here, of course, the opinions of researchers differ as some claim that 7 tiers of the underground complex are located underground, while others categorically deny this fact. 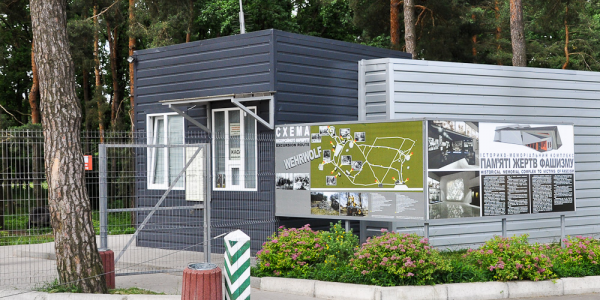 Today the territory is once a military facility fenced and serves as a museum complex, which anyone can visit. For the convenience of tourists there are signs, information boards. From the local guide you will learn a lot of interesting things both about the building itself and about the Second World War. 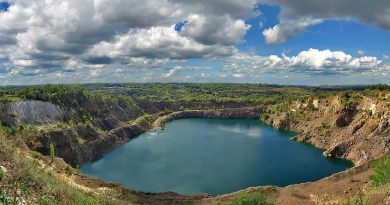 If you decide to visit the former strategic places of the Second World War period in the Vinnytsia region, then you should also visit the Goering’s Steinbruch rate, which is located near the village of Gulevtsy. 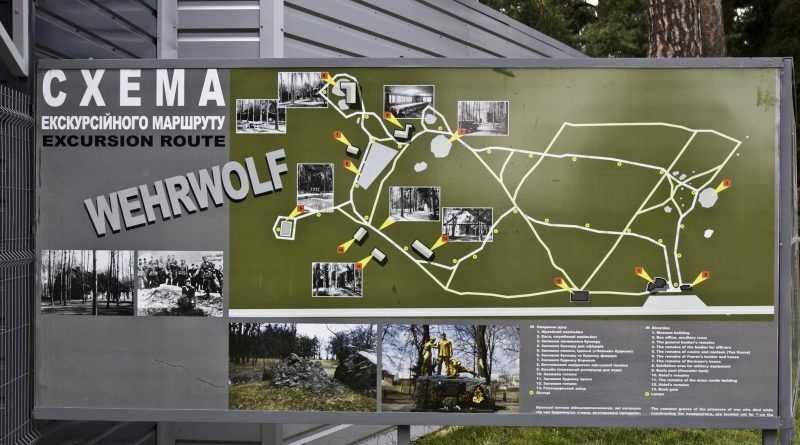 For a note, it is necessary to overcome a little more than 30 kilometers from Hitler’s “Werewolf” stakes in Stryzhavka. 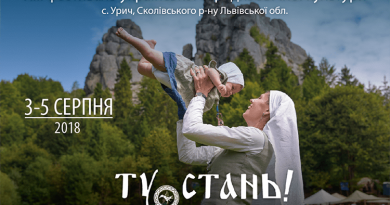 Address: town of Stryzhavka, Vinnytsia region .